Can I just tell you all that I have discovered my very favorite company – ever?!? Two of my very favorite things in this life are travel and photography. Nothing makes me start dreaming with excitement like booking airfare to somewhere I love (or somewhere I have never been but know that I am going to love). Coming home and printing a gorgeous canvas for my wall of said place is just icing on the cake. Problem is…quite often I come home with some gorgeous scenic images, but when it comes to images of the people I love, all I have is a set of some pretty lacking selfies. I think we have gotten pretty good at it…but still. I was craving some gorgeous images that included flattering angles of my very favorite people. Then, the clouds parted and the sun shone down and lit up my world when my sister referred me to Flytographer. A bit dramatic? I think not. Flytographer is a company based in Canada that is making everyone’s dreams come true. They have found talented photographers in almost every country worldwide who are waiting to upgrade your vacation photos from selfies to gorgeous images worth gracing the walls of your home (or at least your Instagram account). The process was so seamless and easy. 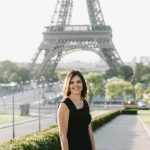 We booked and met with our photographer Olga at the Eiffel Tower at sunrise. It was so worth the early alarm clock to watch the world wake up in such a beautiful city. After several poses and shots near the Trocadero, we walked a few minutes down the path to get a few photos from another view on Avenue de Camoens. Olga made us feel so comfortable during our shoot. She was incredibly sweet and amazingly talented. We are in love with our beautiful images and will treasure them forever. Visit Flytographer.com. Choose your city. Browse the galleries of the photographers in that city. Choose the one you love and send in an inquiry. You are quickly assigned a concierge who helps you through the process of pinning down the details. Your photographer will quickly confirm availability and help you choose a location if you need advice. Meet your photographer at the time of your session. You smile and laugh your way through your photo session (either as a solo traveler or with your family or friends). Wait only 5 days (often not long enough to even get home), and you receive your beautiful digital files in your inbox. Smile and reminisce and your heart soars that your memories are so beautifully captured. You tell your family and friends that you have discovered the best souvenir ever! You then start planning your next trip based on where you would like to book your next Flytographer photo shoot (oh, is that just me?). For those of you that love the sound of this, here’s a special discount link to get you $25 off of your first booking. 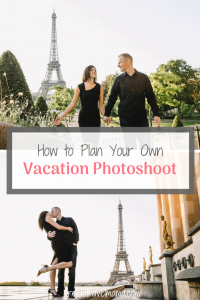 I am in no way affiliated with Flytographer (but wouldn’t hesitate if they asked!). I recommend them so highly because they deserve it. If you take advantage of my discount code and book through my link, I do get a $25 discount too, for when I book my next dream vacation. I hope you love them as much as I do! It sounds like you had an amazing experience! I love Flytographer too. Your photos are incredible! Thanks! 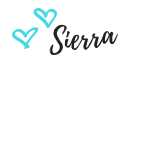 Isn’t Flytographer the best thing ever?!? Thank you so much! We have done a couple of family photo shoots before but never anything like this. I would highly recommend going out of your comfort zone and trying it out! I am so sure you will be glad that you did. 🙂 The photographers are amazing and really make you feel comfortable. You can choose to pose yourselves or have them tell you what to do and we chose for them to tell us exactly what to do. So she did and we were thrilled with how they turned out! This is a brilliant idea! It’s true that we take so many photos of famous landmarks but we tend to forget to get family or couple photos. You’re photographs from Paris are amazing! I will have to check out Flyphotographer for our next trip! I hope you do try them out next time! It is such a fun experience and the best souvenir ever! Loved all your shots in the romantic city of Paris by Flytographer. It is good that we can select destinations, choose photographers and within 5 days we get digital files in our inbox. This is the best travel gift and I would look into this when I am traveling to next destination. Thanks for sharing the discount link. Thank you! The process really is very well organized and seamless. In addition to the beautiful photos, I really appreciated the great customer service! Am hearing about Flytographer for the first time TBH. And the name is so catchy. Love the concept behind the company, and having professionally clicked photos from around the world where one travels, is the best thing ever. Definitely going to refer it to others, and will check it out myself as well. 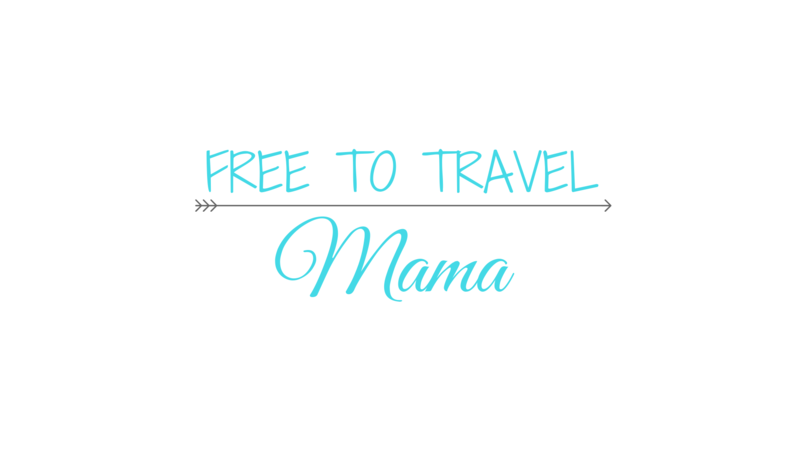 I am so glad to introduce you to Flytographer! They really offer an amazing service; I wish I would have thought of it! 🙂 I’m so excited for you to try them out too. Have fun! Gorgeous captures…And to be honest, this is the first time I hearing about Flytographer like a couple of others already mentioned here 😀 At first, I thought it was a sort of a drone..haha. It is indeed wonderful to capture and frame these moments by a professional photographer.Thanks for introducing us to this and you both look adorable! together! Thanks so much! Haha…it does kind of sound like a drone! Thank you so much! This would be an amazing addition to a honeymooon! Sunrise is the perfect time to beat the crowds! The alarm went off way too early but it was sooo worth it! Had we just wanted to experience Trocadero at sunrise without a photographer scheduled, we would have definitely turned off the alarm, went back to sleep, and missed out on this amazing experience. It was so very worth it! 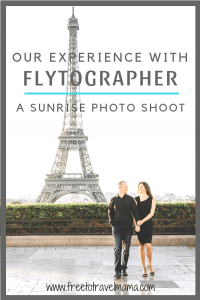 Which flytographer did you use in Paris? The photos are gorgeous! Hi Sarah! Thank you! We had Olga and absolutely loved her! She is married to Kirill and he came along too but she took all of the photos. I highly recommend her. Are you going to Paris soon? Hope you have an amazing trip, if so!